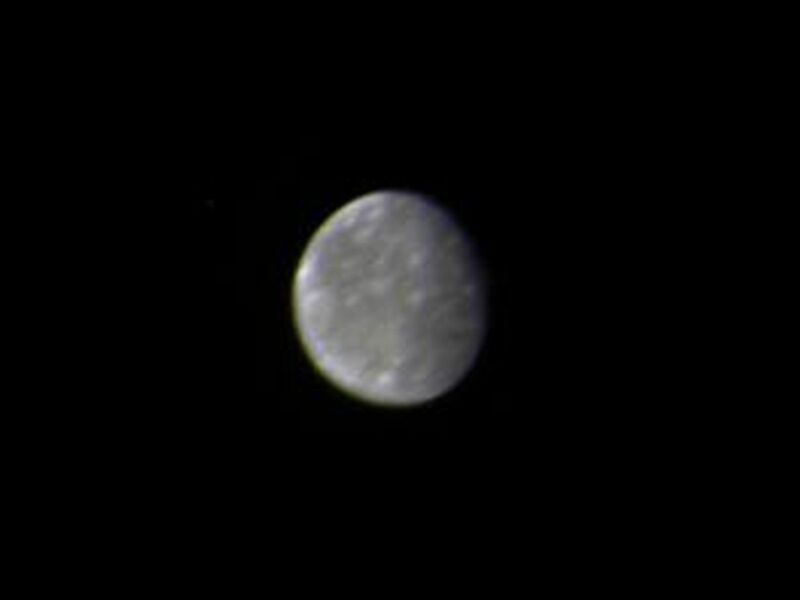 This photo of Callisto, outermost of Jupiter's four Galilean satellites, was taken a few minutes after midnight (PST) Feb. 26 by Voyager 1. The distance to Callisto was 8,023,000 kilometers (4.98 million miles). The hemisphere in this picture shows a fairly uniform surface dotted with brighter spots that are up to several hundred kilometers across. Scientists believe the spots may be impact craters but higher-resolution photos will be necessary before the features can be interpreted. Callisto is about the same size as the planet Mercury -- about 5,000 kilometers (3,000 miles) in diameter. Callisto is much less massive than Mercury, however, giving density less than twice that of water. Scientists believe Callisto, therefore, is composed of a mixture of rock and ice (up to about 50 percent by weight). 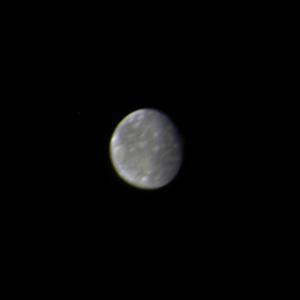 Its surface is darker than those of the other Galilean satellites, but is still about twice as bright as Earth's Moon. This color photo was assembled from three black and white images in the Image Processing Lab at Jet Propulsion Laboratory. JPL manages and controls the Voyager project for NASA's Office of Space Science.